We all have those moments where we think about quitting, whether that be at the end of a long prep, or after a tragic life event. The question then becomes, when should we quit forever, versus when should we quit for now? Andrea, Eric and Jeff join together this week to differentiate between the two. How does your mindset and reason for competing effect how long you can continue to compete for before you burn yourself out? Under what conditions did each of the three coaches quit a prep, or modify a competitive season? And the importance of setting up a nice daily flow during contest prep, are all discussed in this week’s episode. 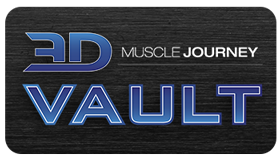 Regardless of the exact reason, one commonality exists between all of those who do end up permanently “retiring” from the sport of bodybuilding forever, and that is the cost of competing now outweighs the benefits they get back from it. 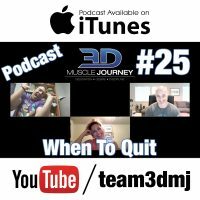 Tune into today’s episode to hear more about when one should “quit” their bodybuilding career for good, or, just take a temporary leave of absence.